Under the aegis of the SIRIC Montpellier Cancer and the Labex MabImprove, the 8th edition of the Summer University of Targeted Therapies will be held on 4 and 5 July 2014 at the Faculty of Medicine of Montpellier. This annual event is a place for scientific and clinical excellence on the issue of targeted therapies. Organized by Prof.David Azria and Prof. Guillaume Cartron, this event will bring together a large number of French and international experts in oncology and hematology-oncology. 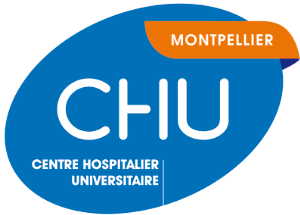 Scientific committee: David Azria (Montpellier), Guillaume Cartron (Montpellier), Jean-Philippe Spano (Paris), Frédérique Penault-Llorca (Clermont-Ferrand), Hervé Watier (Tours), André Pèlegrin (Montpellier), Joseph Gligorov (Paris), Marc Ychou (Montpellier), Antony Gonçalvès (Marseille), Karin Tarte (Rennes), Bertrand Nadel (Marseille). The detailed program of the event will be soon available on this page.